Kickstarter Success and the Future of The Quilliad Press! I am excited to announce that our Kickstarter was a success, so you’ll be hearing a lot more from us! Thank you to everyone who backed us and shared our project link! We are so grateful. Now that the Kickstarter is over, we have a lot to do. We’ll be sending out reward surveys, finalizing the lineup for issue 6, working on layout, writing poetry rewards, making Kickstarter reward chapbooks, and more! But we’re also taking some time to celebrate. If you’re in Toronto on Thursday, October 29, drop by Betty’s at 240 King Street East between 7:30 and 11 for readings, art on display, our book table, and good conversation. Our launch party is also a costumed event in honour of Halloween (also, to be honest, we are in favour of any opportunity to dress up). Follow the link for the Facebook event: www.facebook.com/events/1501141953517791. $5 cover includes a copy of issue 6! Between a successful Kickstarter for our press, the upcoming release of issue 6, our planned book reviews and artist profiles, the approaching launch of our online store (not to mention our current presence on store and library shelves in Toronto!) and our soon-to-be-announced chapbook submission call, 2015 is turning out to be a very busy–and wonderful–year for us. Editor-in-chief and founder of The Quilliad Press. 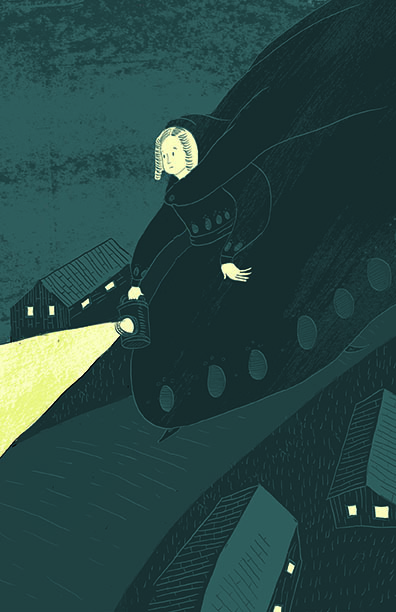 Our second round of early acceptances revolves around folklore and fairy tales. Long-time supporter and contributor John Nyman graces us with poetry about vampirism and death that manages to be both chilling and free of cliché. Both Erica McKeen (a writer of poetry and fiction based in London, Ontario whose work has been published in This Dark Matter, Nom de Plume, and issues four and five of Occasus) and Ruth Daniell (a BC writer who won the 2014 Young Buck Poetry Prize with Contemporary Verse 2) have provided us with pieces that offer new and spooky perspectives on old tales, through both fiction and poetry. 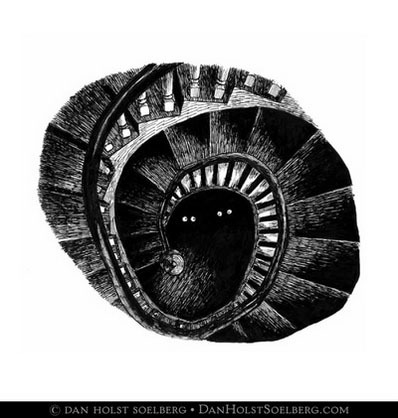 We’re also excited to be including the artwork of Jill Davis LeBlanc, a New Brunswick artist who is the creator and illustrator of the anthology zine Hollow Round of Skull and the illustrator for The Legend of Hummel Park and Other Stories, currently an Amazon bestseller in the horror short stories category. If you’re curious about our first round of early acceptances, you can check out our post about them here. If these stories, poems, and artwork sound interesting to you, you can purchase copies of our sixth issue through our Kickstarter, which will be running for only three more days! We’re also offering personal poetry on demand, chapbooks, and art prints to our backers. You can view our Kickstarter project page by following this link: www.kickstarter.com/projects/1765917797/the-quilliad-press-and-issue-6. By ordering through our Kickstarter, you’ll be supporting our efforts as a small press to publish and promote both new and established Canadian writers and artists. The Quilliad is a paying publication, and The Quilliad Press as a whole is dedicated to creating a strong literary and artistic community. Support us through Kickstarter and become part of that community! 1. To support emerging writers and artists. As our previous issues have proven to us, Canada’s emerging creative talent is worthy of attention. Read the work from our first issue, which featured only university undergrads and recent graduates, to see what we mean. 2. Our contributors go on to do more awesome things, so you’re investing in people who are serious about their craft. Take just a few examples from our list of fifth issue contributors, for instance. Jessica Bebenek and JC Bouchard were part of the recent Worst Case Ontario Poetry Tour. I have the tour chapbook, and the writing in it is fantastic (as were the performances at the Toronto reading). Not to mention the guts and inspiration it takes to successfully crowdfund a poetry tour and then go on a road trip with relative strangers in order to do poetry readings in 9 different cities in as many days! Suzanna Derewicz—poet, playwright, and performer—is performing in and co-facilitating the Write On Playwright’s Showcase II on Tuesday, September 29 at On Cue in Toronto’s west end. She will be performing “Getting There”, a play exploring the experiences of a dying woman hose consciousness remains intact. The piece is inspired by Ariel, Sylvia Plath’s final book of poetry, and the play is also being adapted into an illustrated poetry chapbook by Suzanna. You can find Issue 3 contributor Kayla Czaga’s work everywhere right now. A recent UBC MFA graduate, her work has appeared in The Walrus, Best Canadian Poetry 2013, Room Magazine, Lemon Hound, Event, The Malahat Review, and The Antigonish Review, among others, and she’s already published her first book, For Your Safety Please Hold On, with Nightwood Editions. Issue 4 contributor Dan Holst Soelberg is a quirky artist with a dark but humorous aesthetic who’s become a regular everywhere from small press fairs to Fan Expo every August in Toronto. You can find his books online or in stores at The Beguiling and The Labyrinth in Toronto and Big B Comics in Hamilton. Issue 5 contributor Lisa Young is the author of the poetry collection When the Earth, published by Quattro Books, and the chapbook This Cabin, published by Lyrical Myrical Press. She has been published in Jones Av., Misunderstandings Magazine, Quills Canadian Poetry Magazine, Rampike Magazine, and more. As the former fiction editor and senior poetry editor for Existere: Journal of Arts and Literature and someone who is active at both reading series and in writing groups, Lisa is a staple of the Toronto poetry scene. Our issue 5 cover artist, Eden Bachelder, creates stunning paintings, illustrations, and masks of animals and monsters. 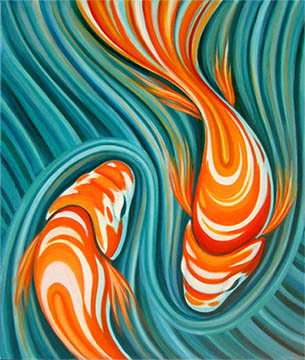 You can find her work at Toronto-area art events and on her website, www.edenbachelder.com. 4. Our rewards. We’re offering copies of The Quilliad (of course), chapbooks, art prints, and poetry on demand on subjects chosen by our backers. For backers who pledge $200 or more, the poetry we write for them will be published in issue 6, and we’ll be composing entire chapbooks for backers at the $200 and $500 levels. 5. To promote small press publishing and Canadian arts. Smaller presses are often more likely to take risks with unusual work or work that isn’t what’s hot right now (but that is still awesome), as well as to give opportunities to new writers and artists (see #1) and to LGBT, POC, and other diverse voices and perspectives. Furthermore, while we think our publication is equally interesting to all lovers of the arts, we also believe that Canadian creative work deserves more recognition. Publishing local writers and artists is our way of helping to build an audience for Canadian creations. 6. We do more than publish. We also promote arts and literature through our blog by writing reviews of small press books, composing artist profiles, and covering local arts and lit events. We’re open to suggestions about what we should cover as well. The Quilliad is thrilled to announce that we will be publishing the art of Eden Bachelder in our fifth issue! She’s an excellent example of the emerging talent in Canada. Originally from North Bay, Eden Bachelder moved to Toronto in 2004 and has lived here ever since. She studied English literature at Nipissing University, earning a BA, and received an honours BFA in visual art from York University. While at York, she studied everything from painting and drawing to sculpture, screenprinting, and woodworking. At Ty Templeton’s* Comic Book Bootcamp, she studied page layout, penciling, inking, digital colouring, and anatomy. What really struck us about Eden’s art was her beautiful and unusual style. 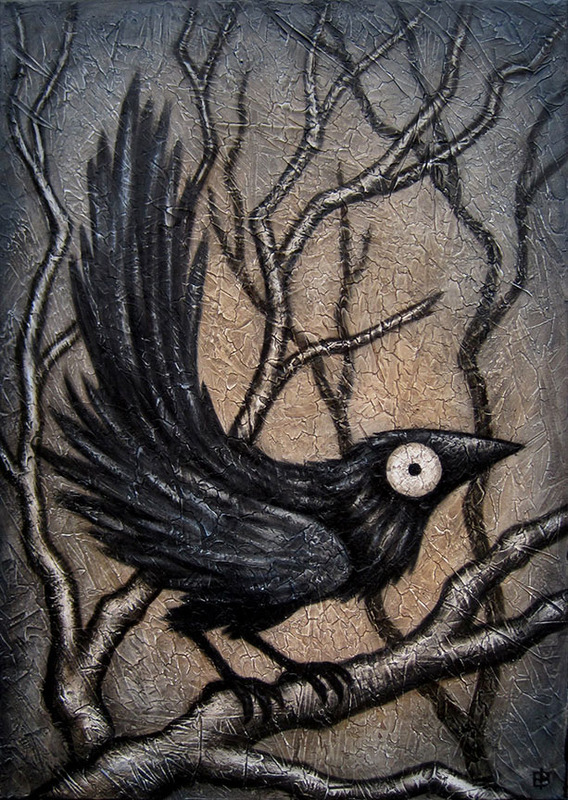 Her work is both dark and whimsical. Some of her darkest subjects have a peculiar friendliness to them (even if they would be most likely to gnaw your face off if you encountered them in real life), while her most cheerful subjects are often slightly eerie. The wide eyes of her creatures, both real and imagined, draw the viewer in, while her masks lend their owners the ability to transform into something magical. While she has previously done illustration and commissioned animal portraiture, she now works primarily in acrylic, watercolour, ink, and pencil for her two-dimensional pieces, and makes her masks and jewelry by hand out of leather. Her paintings depict both the natural and the monstrous with the same bold lines. Her subjects are drawn from nature and mythology; past painting series include ravens, sea monsters, and colourful koi fish. Her masks are a similar blend of fantasy and fauna, featuring Lovecraftian creatures, birds, snakes, griffins, and fantasy creations. In addition to featuring in our upcoming issue of The Quilliad, Eden will be spending this summer as artist-in-residence at Lilibird in Bala, Ontario, where she’ll have a studio in an old stone church. If you’d like to see more of her work, be sure to visit her website, edenbachelder.com, and her online store, edenbee.etsy.com. You’ll have to wait to see which of her pieces we’re publishing this issue! Our submission call is still open, so if you have poetry, a short story, flash fiction, a painting, illustrations, comic art, or photography to send us, email thequilliad@gmail.com. If you are interested in contributing to our fifth-issue Kickstarter, check it out at https://www.kickstarter.com/projects/1765917797/the-quilliad-issue-5. We have great rewards available, including copies of The Quilliad, poetry on demand, art prints, and pinback buttons. *Canadian Trivia Bonus: Ty Templeton is a well-known Canadian comic book artist and author. 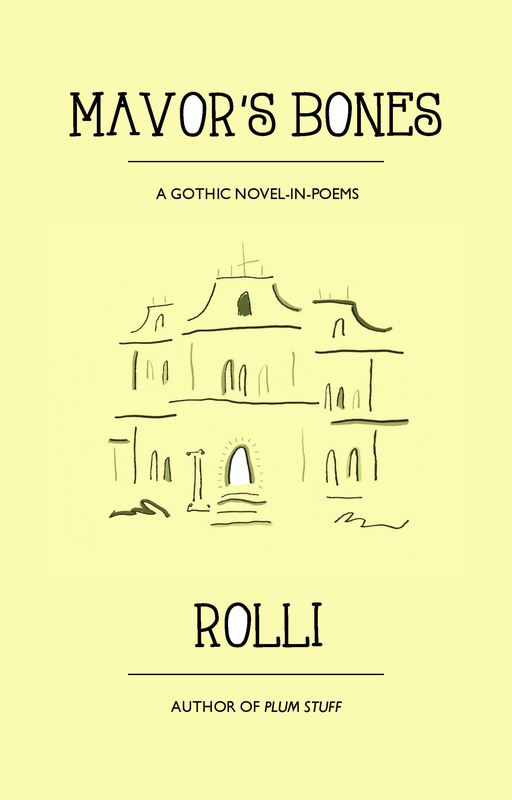 Rolli’s family saga is less a novel than a series of vignettes, creating a portrait of a family as decrepit as their abode. The lines that make up Mavor’s Bones linger in a space between sincerity and satire, drenching the family’s tragedy with a generous helping of dark comedy. The characters often speak with an authority they do not have, making grand statements to a house and household that care little for their pronouncements. The narrator weaves his or her disembodied voice into the story, taking on the grandiose tone of the book’s inhabitants. The poems are supplemented with curious illustrations, abstracted figures and sketched portraits adding to the absurd. I found that the collection improved significantly when I started reading sections aloud. I was then able to better appreciate how natural the rhymes feel and the rolling cadence of the poems. This strengthened my belief that the fragmentation does more in places to hinder than help. Similarly, the poems with a clear voice, where the speaker is identified as a specific family member, often ring truer than those with an unidentified speaker. Overall, there is much to like in Mavor’s Bones. There is a hint of Mervyn Peake in the character descriptions and more than a little Lewis Carroll in the madness of it all. Read it if you like family sagas, gothic atmosphere, characters’ sometimes self-aware pontificating, stories in verse, multiple voices, and a little bit of nonsense thrown in for good measure. I am pleased to announce that Mr. Soelberg will be contributing to the fourth issue of The Quilliad. He’s working on a new piece for us, which is quite exciting. His work fits perfectly into the spooky theme for this issue, and it’s always lovely being able to work with an artist you’ve met and chatted with. I met Dan at a Toronto Indie Arts Market event a few months back while tabling for The Quilliad, and we bonded over the use of the same pens for inking (a serious thing to consider when you do illustrations–the wrong pen can ruin everything). He was friendly, and I could see that he is quite talented–while we chatted, he casually worked away at a new piece, and I already knew that I’d be contacting him about an illustration for The Quilliad. Dan describes the concept behind his work far better than I could, stating on his website’s About page that he “find(s) great joy in making books that both celebrate and poke fun at humanity’s disturbing predilections and preoccupation with fear.” Dan’s work is certainly creepy (which suits us just fine), but it has a lightheartedness to it as well. And there’s no denying that his ink-work is wonderful. The appeal of this combination of whimsy and horror is not lost on the bookstores of Ontario; Dan’s work is featured in The Beguiling and The Labyrinth in Toronto and Big B Comics in Hamilton. 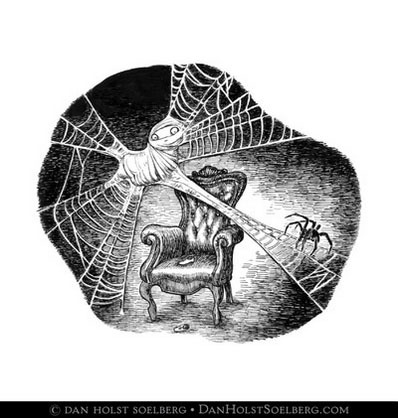 Dan acknowledges his influences–you can find a portrait of Edward Gorey on his site–but he’s found his own niche. The images above are from his book Dwellers of Lurching Swill, and within its pages each is accompanied by a quirky couplet describing the subject (and their plight). I don’t know yet what Dan will create for The Quilliad, but I look forward to finding out. In the meantime, you can find him at DanHolstSoelberg.com, as well as on a number of social media sites. While you’re at it, take a moment to check out our Kickstarter for our upcoming Halloween issue (the issue to which Dan is contributing), and if you are a writer or artist yourself, our submission call. Both will be open until September 30th.